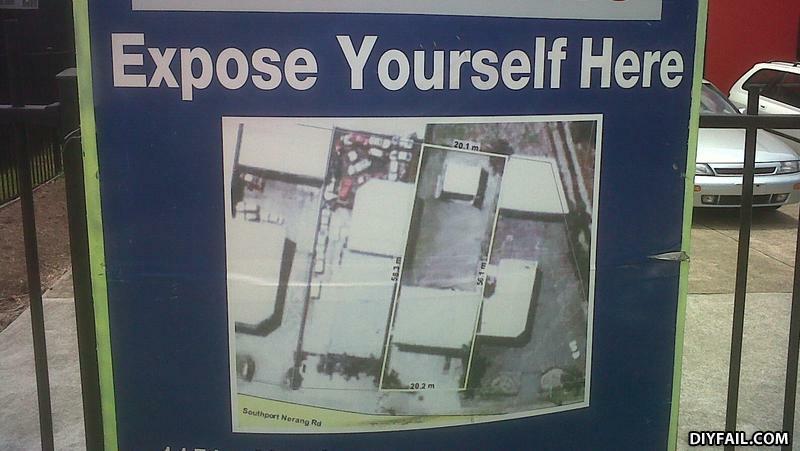 What Better Place Can One Expose Themselves? What's the fail? It's a real estate ad, making a joke. Yawn. A zebra that's been brutally cut open.